As we are entering the warmer seasons of the year, adults and their young children alike are starting to feel the itch to get back outdoors. From sports and other physical activities to simply enjoying the sun, the spring brings with it a sense of revival and the opportunity to try new things. This means that your toddlers and preschoolers now have the ability to experience more and more things as they get a bit older. If you’re at home with your youngster and wondering what you can do to make the most out of their springtime, we can help. Valley Learning Centers has a list of some of the best springtime activities you can do with your kids, making sure they get to take advantage of the weather during this refreshing time of year. 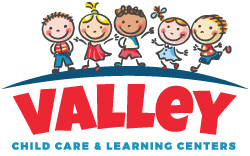 If you are looking for one of Arizona’s finest early learning centers and preschools, trust Valley Learning Centers to foster your children. Are you a parent who just can’t shake that green thumb? Have you been wanting to get your children involved and share your passion with your toddler? 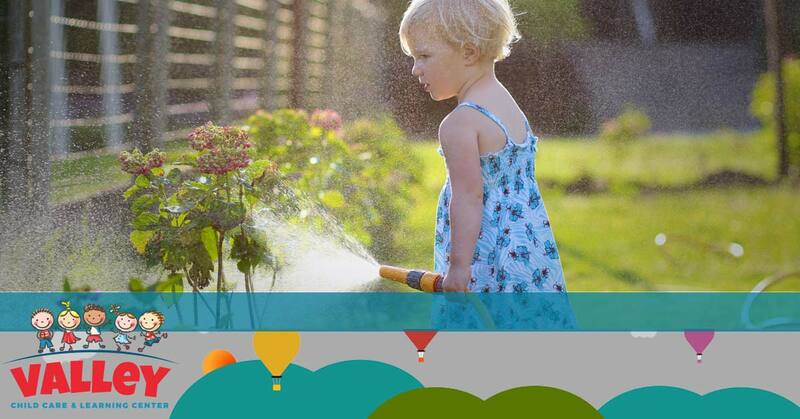 Gardening is a great hobby that can give your children an excuse to get dirty, while also learning some useful skills. Gardening means that children will understand the importance of taking care of plants and the world around them, while also letting them reap rewards from hard work. Watching these plants actually grow, tending to them, and then eating food they grew themselves will give your children the ability to see the results of the work they put in, a great way to show them the importance of finishing what they start. Gardening and planting together also gives your youngsters the opportunity to choose what vegetables they will eat and see on their plates after a little digging, a big plus for your preschooler who might lean on the picky end of the eating spectrum! If you’re looking for a great way to get outside and enjoy the fresh air without too much hustle and bustle, taking your kids out for a picnic is a great option. Weekend lunches can really be taken to the next level when you and your child take some time to find a few comfortable blankets, a big basket to store all the food, and actually make lunch together. This gives your children some experience in doing things like helping in the kitchen and learning how to effectively pack without smashing their sandwich. 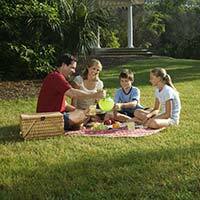 Picnics allow families to enjoy the outdoors, while also having time together to share a meal. It’s a perfect way to get outside without worrying about your kids sneaking out of sight. Benjamin Franklin would be proud of this great springtime activity. 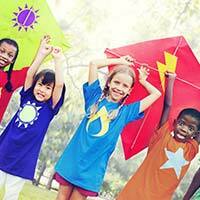 If your kids want to head outside, but can’t toss the ball because the wind is getting in the way, then flying a kite can make windy days a positive. Kites allow your kids to run around while making sure their kite stays in the air and prevents them from getting too antsy when the wind picks up outside. This is a great activity to do together, as it will get parents up and moving and get children mentally engaged as they try to make sure their kite stays in the air. Anything you can do to keep your children mentally and physically engaged at once, while also participating in an activity, will make this spring even better. Here at Valley Learning Centers, we want to make sure that your children are thriving at our early learning centers and at home. We love making sure that children get outside and stay healthy, taking advantage of the weather every season has to offer. This spring, make sure you and your children think outside the box, while also participating in activities together. From gardening to kites, there’s always something to do together. If you are looking for the finest preschool and early learning center in the Phoenix area that will do the same for your toddlers and early learners, trust Valley Learning Centers. With 10 locations across the Phoenix area, we have a location that is convenient for you and your family, so stop by and sign up today!